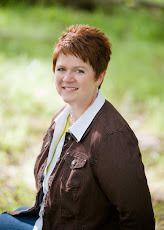 Margo Kelly: A Critique for YOU! When I *finally* got an agent (an uber-awesome-one, btw), a writer said to me, "Make sure that you give back to the writer community." I'd like to do that by offering FREE critiques of the first 250 words (approximately the first page) of your manuscript. Ideally, I'd like to post the writing and critique on this blog, but if you're terribly opposed to that, I'd still be happy to offer the critique to you. Disclaimer: I say what I mean. Don't get me wrong, I am not intentially harsh; I just don't waste time sugar coating my opinion. So, if you'd like a critique, email me at margokelly@q.com and let me know if I can post it on this blog. found you on the a to z. it is nice of you to want to help other writers!!! That's a great thing to do! I should do something like this sometime. Glad to meet you thru AtoZ! thanks for the fallowing, Cats for this letter probably is popular because its something everyone know. I actually have two topics about cats XD Good luck on your challenge! Wow! That's a mighty generous offer. :) I'm a new follower and thanks for following my blog as well. See you on the A-Z! What a great offer, that's definitely giving back! Wow, how magnanimous of you. And it's great you don't sugar coat; skip the hollow praise and cut to the good stuff, the stuff that can help. I'm not as generous as you. I tend to critique only friends' work, due to lack of available time, laziness, and the fact that my parents told me never to talk to strangers. That's very nice of you Margo. A nice offer. I may take you up on that when my next WIP is done (soon I hope). Ok, maybe I'll do it quicker, since the first 50K are done and I like my first page. It'd be neat to see what you think about it. Thank you for the offer. Cheers! Now that is a wonderful give back! There's a generous offer! I don't need new critiquers, but I'm impressed at your offer. Hi Margo, I met someone recently who uses you for critiques. I don't think I'm brave enough, lol. You can go over to RomanticFridayWriters where I'm posting flash fiction every day and give me a critique. 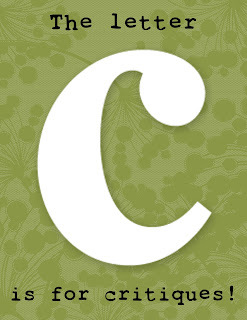 C is a real tear jerker. We encourage critiquing at RFW but it can be tough. Hi Denise! I'm dying of curiousity to know who you're talking about?! Interesting. I'm almost done with book 2 of my Anastasia Raven mystery series. It's a cozy, so it doesn't start in the middle of some big action scene. I might be back to take you up on your offer. If you want to see internal excerpts, I've put ones from most chapters at joanofshark.com. I'm trying to visit all the blogs in the A-Z Challenge. I'd like to say that Margo is my critique partner, and has been for over a year now (wow, maybe two even?). She is a fantastic partner and has a wonderful ability to point out what could be better, and gives great suggestions. That's just a wonderful way of giving back Margo. Kudos for giving back and great 'C' topic. I will definitely keep this advice in mind. I love paying it forward! That's so sweet of you. I've been MIA for a bit and I had no idea about your agent news. So lemme say Congratulations!!! I'm so excited for you. What a generous offer. I'm awful at critiquing. I'm too kind but then they do say you should present it as a sandwich. Kind words, the harsh reality and then some more kind words to sandwich it up. What a great idea, Margo--thanks for the offer! An excellent and generous idea. Sugar coating critiques is a disfavour to the writer! I would love to take you up on this if you haven't got too many by the time I can get it organised! I would love to do this. I can use some constructive feedback. How generous of you to offer your time and expertise! Margo- Thanks for your comment on Just Throw Money. I know, I have a ton of blogs. I would think you'd like the author blog best joanofshark.com, and the one I update daily is my personal blog (and the one in the A-Z challenge) is myqualityday.blogspot.com. I sent you a friend request on Goodreads, too. Nice to meet you.